Potomac Books, 2016. 310 pages. $34.95, hardcover. At a time when news from much of the Arab world is grim, to say the least, Tom Lippman, a veteran observer of the region, has written a well-informed book about one of its more colorful leaders, Anwar Sadat, president of Egypt from 1970 until his assassination in 1981. The book's title highlights Sadat's decision to go to war with Israel in October 1973, a move that, perhaps counterintuitively, opened the way to peace between Egypt and Israel. In addition, it set the stage for a realignment of Egypt's foreign policy from dependence on the Soviet Union to a close relationship with the United States. It also helped to trigger the oil crisis that sent petroleum prices skyrocketing, as well as accelerating the demise of U.S.-Soviet détente. 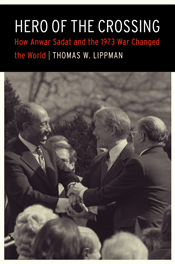 In light of such significant developments, Lippman claims that Sadat "changed the world." Yet the conclusion of the book is more nuanced. Sadat was, for a moment, the "hero of the crossing" in the eyes of his countrymen, but when he died a few years later, Lippman claims, "the people of Egypt were indifferent to Sadat's death" (p. 278). And his hope for a comprehensive peace between Israel and the Arabs, assuming that really was his goal, has remained elusive. So if the book's title is a bit misleading about Sadat and his legacy, how can we draw on the rich material presented here to compose a balanced portrait of Sadat and his times, the real topic of the book? One of the problems in assessing the Sadat era is the man himself. Prior to becoming president when Gamal Abdul Nasser suddenly died in September 1970, Sadat was not particularly well known. He had survived in Nasser's shadow, one of his fellow revolutionaries from the glory days of 1952, but not a major figure. Within months of coming to power, he was very nearly ousted in a coup attempt mounted by hard-liners within the regime, apparently with Soviet backing. This almost certainly helps explain Sadat's decision to seek a new relationship with Washington and to keep his distance from Moscow. Sadat wrote one book that gave his version of some of the events covered in Lippman's study, but it is not a very good guide to his major decisions. Very few Egyptians were taken into his confidence. Two of his foreign ministers quit over policy disagreements. Usama al-Baz, who uniquely did have privileged access to Sadat's thinking on major foreign-policy issues, died without writing his memoirs, and his personal records, if they exist, have not seen the light of day. So on many of the big issues — why Sadat went to war in 1973, his dealings with Henry Kissinger and Richard Nixon, his decision to go to Jerusalem in September 1977, his thoughts about the Camp David negotiations in 1978, his view of other Arab leaders — we have to rely on what he said publicly and accounts of some of his colleagues and a few Western diplomats who have tried to interpret his actions. Lippman uses available sources as best he can, but Sadat, in his telling, remains as hard to fathom as in other accounts. Let me offer one example of the difficulty of assessing Sadat's behavior. Beginning in 1972, Sadat sent messages to Nixon and Kissinger indicating that he wanted to explore a new relationship. In July 1972, he gave credence to this message by expelling most Soviet military personnel in Egypt, a move sure to attract attention in Washington. Then, early in 1973, his national-security adviser, Hafiz Ismail, met twice with Kissinger to explore the possibility of peace negotiations with Israel. When Kissinger was slow to respond, arguing that nothing much could be done until after the Israeli elections slated for late 1973, Sadat, according to the standard account, lost patience and went to war. Many Egyptians and Israelis now maintain that the diplomacy of early 1973 was all part of a smokescreen put up by Sadat to disguise his plans to launch a surprise attack on Israel, in coordination with Syria, in October 1973. Indeed, many now argue that Sadat could never have made peace with Israel unless he had fist redeemed Egypt's honor by going to war and fighting competently. This is a matter of some importance: if Sadat was determined to go to war, then neither Kissinger nor Golda Meir can be blamed for not taking a diplomatic opening seriously in early 1973. Counterfactuals do not make for good history, but one cannot avoid thinking about the "might have beens." My own sense, as one who was fairly close to the diplomacy of the time, is that Sadat was serious about a diplomatic initiative in early 1973. He may have been unrealistic about how quickly a process might have produced results, and his asking price may have been too high. However, I think there is ample evidence in his overtures to Washington that he was looking for a peaceful resolution of the conflict. He must have understood that war would entail risks. Of course, if diplomacy failed, or if U.S.-Soviet détente meant an indefinite freezing of the status quo, then even a risky war might be worth it. We now know, thanks to Yigal Kipnis's 1973 book The Road to War (Just World Books, 2013), that Kissinger did try to persuade Golda Meir to take Sadat seriously in mid-1973, but she refused. Her view was, in essence, that Sadat might indeed be ready for peace, but he would insist on the return of all Egyptian territory, and she was not prepared to accept that condition. If Sadat did not like that hard reality, let him try to do something about it. If he threatened war, she once said, that would be his problem. Israel would easily win and would have an even stronger bargaining position in the war's aftermath. Unfortunately, nothing of this shows up in Lippman's book, so we are left with many questions that are still hard to answer. Where the book excels is not so much in revealing new dimensions of Sadat's personality, but rather in explaining the context in which Sadat acted. There are very good chapters here on the decline of the Soviet Union, the growing role of oil, the fading of Arab nationalism, Carter's role as a catalyst for negotiations, and the rise of the Islamist current and then its "tarnished legacy." For a reader new to the upheavals in the Middle East in the 1970s, this is all very helpful. For the specialist, it will seem quite familiar. There are a few things I would have liked to see in Lippman's book that are not included. 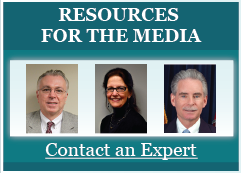 One is a discussion of the Israeli nuclear program. Admittedly, it is shrouded in secrecy, but the general contours are by now known. Do we have any evidence that Sadat, when he decided to launch the October 1973 attack across the canal, took Israeli nukes into account? If so, that might explain his very limited initial moves. Much to the frustration of Syria's president, Hafiz al-Assad, Sadat's army crossed the canal and then dug in rather than advancing further into Sinai. When, a few days later, Sadat did send his tanks further into Sinai, the Israelis destroyed many of them and quickly turned the course of the battle in their favor by crossing to the western shore of the canal. The last few days of the war were moments of high drama as Sadat came close to losing all that he had gained from the first few days. Either he had nerves of steel or a great deal of luck, or perhaps both. Again, one wishes for more intimate details of his thinking. Another issue I would have liked to see explored in more depth is Sadat's attitude toward the other Arab leaders. He often spoke of them with barely disguised contempt, and this has led many analysts to conclude that his goal from the beginning was a separate peace with Israel. I'm not so sure. True, Sadat had little regard for other Arab leaders, but he also understood that Egypt would pay a price if it were seen to have made an entirely separate peace. In his mind, even at Camp David, the preferred outcome was a comprehensive peace, or at least a peace that included something tangible for the Palestinians. As a participant in the 1978 Camp David talks, I can attest that he was not thrilled with the outcome, despite his charming smile at the signing ceremony of the accords. It is worth remembering that Sadat had once hoped to be an actor and excelled at projecting a side of his personality that suited the needs of the moment. Never was that on display more than during his remarkable visit to Jerusalem in November 1977. "Uncle Anwar" seemed amazingly adept at charming his Israeli hosts, as well as the broader public. But when he returned home to Egypt he told the American ambassador that he had now done everything he could do for peace; it was up to Israeli Prime Minister Menachem Begin to reciprocate. He made it clear that he did not want to deal further with his Israeli counterpart, despite the charm offensive of the previous days. One final point about Sadat that Lippman does capture in his concluding sections is that he was much less successful on his home turf than on the international stage. He was impatient with the details of economic development. I recall a conversation when Sadat was asked about some domestic issue, and he looked at his American interlocutor as if he had raised an irrelevant point. By contrast, he loved to talk about the wider world of geopolitics and strategy. This is how he bonded with Henry Kissinger. He did not handle his domestic critics well, and had little patience for building support at the grass-roots level. Like other Egyptian leaders, he had something of a sense that ordinary Egyptians had no right to question the pharaoh. By 1980, he was putting Islamists and secularists in prison at an alarming rate; the following year he paid for that with his life. Lippman captures much of what made Sadat such an intriguing figure, as well as his limitations, and he reminds us of what a consequential and tumultuous time the 1970s were. All that is worth remembering as we enter a new era, with an untested American president, who will confront issues in the Middle East even more complex than those of the 1970s. This time, however, there is no Sadat in sight to take bold initiatives. The unpredictable, impatient, thin-skinned, limelight-loving leader is in Washington, not Cairo.